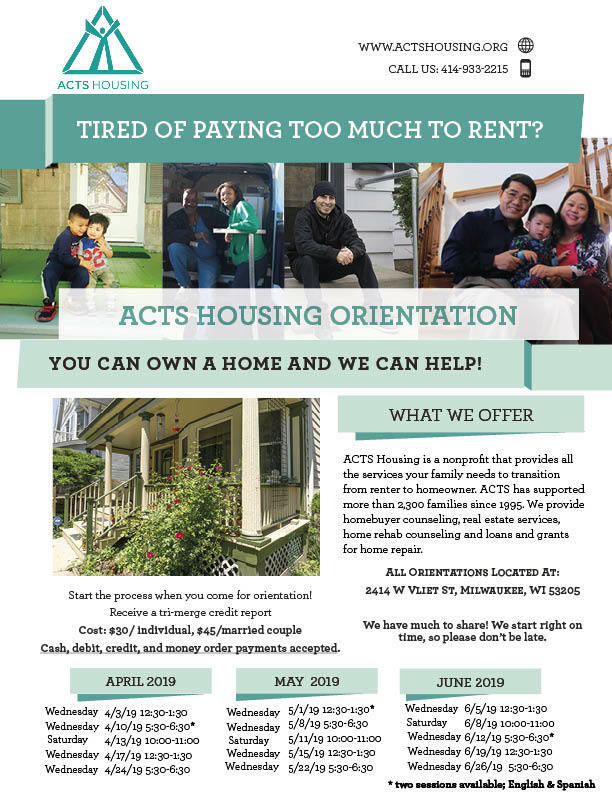 ACTS supports families who are attempting to purchase a home with cash or a loan. 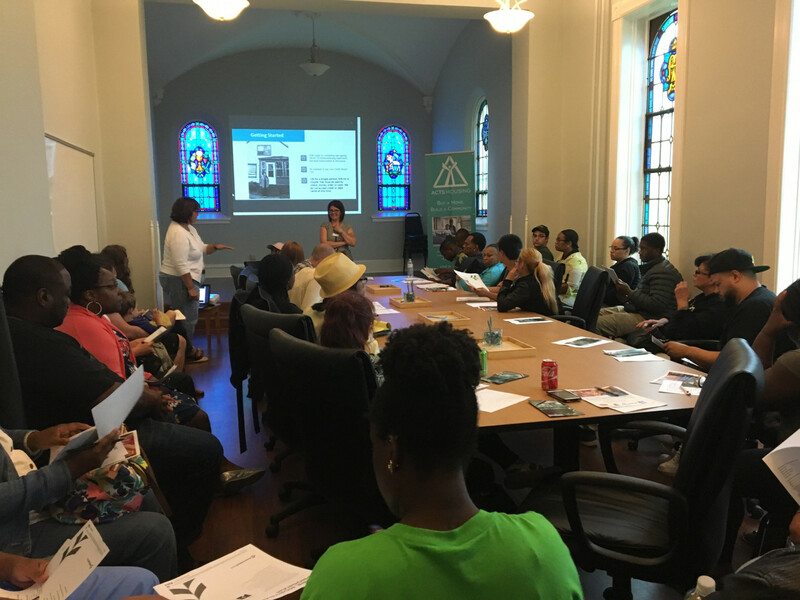 We provide one-on-one, HUD-approved home buyer counseling for individuals interested in purchasing a home for owner-occupancy. 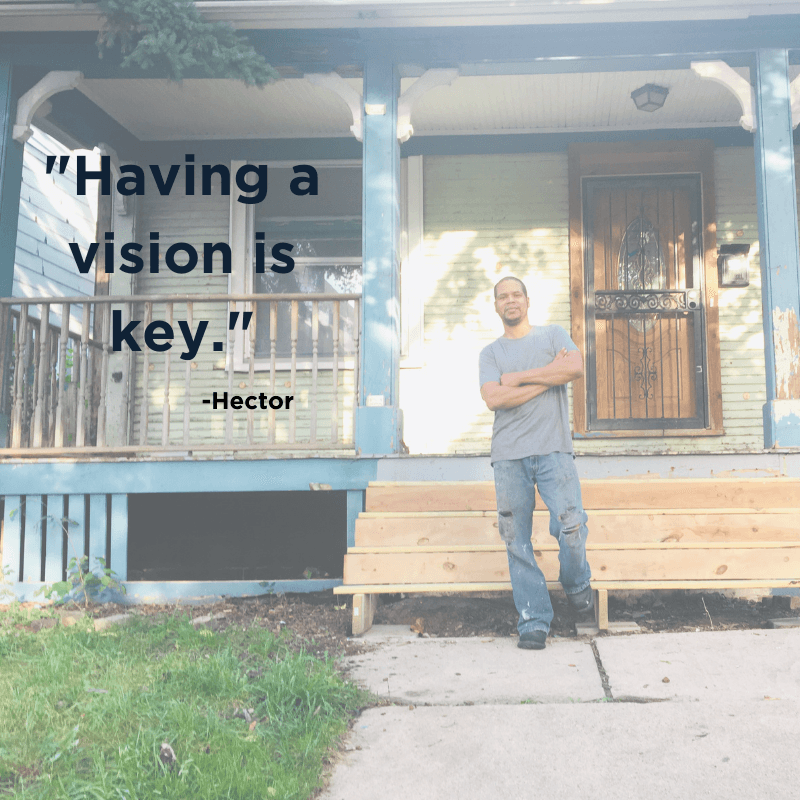 As a real estate brokerage, ACTS represents families in the purchase of homes for owner occupancy, primarily in central city neighborhoods. 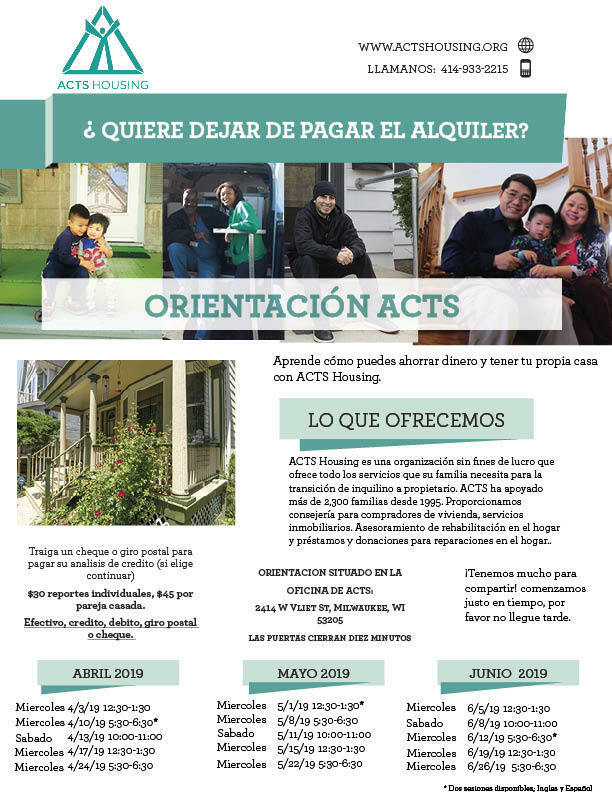 ACTS then helps families plan and execute home rehabilitation, with a focus on reclaiming vandalized foreclosures. 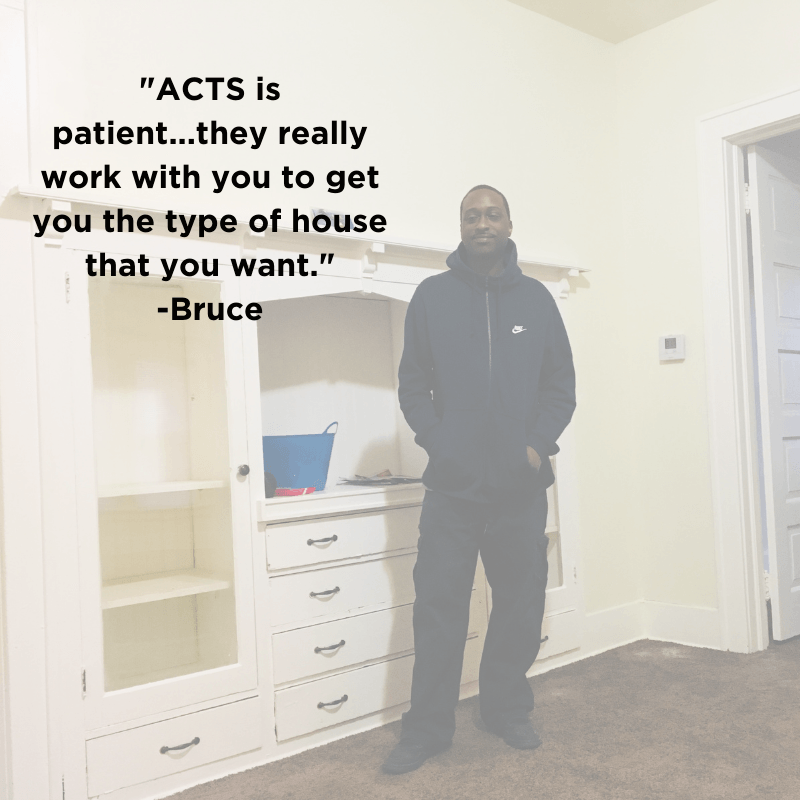 Our affiliated non-profit partner, ACTS Lending, Inc., provides mortgage loans for rehabilitation projects. Attend one of the orientation sessions outlined in the flyers below. Homebuyer Counseling. Real Estate Services. Home Rehab Counseling. All in one place. Attending orientation? Take a look at these forms.